Can I upload files for a client? In LSP.expert, you can upload files (general instructions, confidentiality agreement, etc.) for each client. 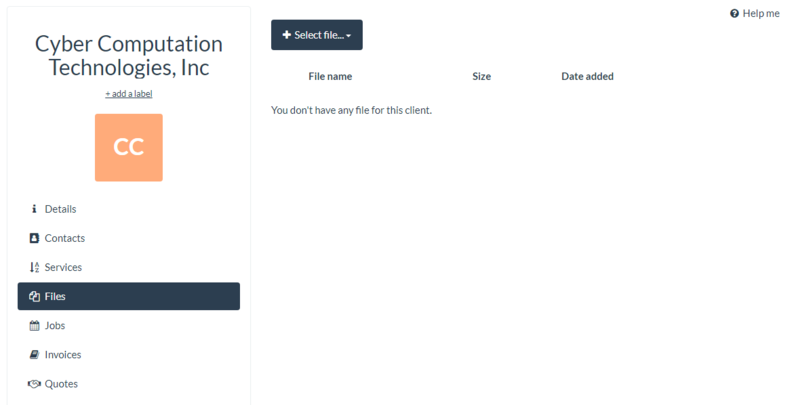 In LSP.expert, you can add files at the client level. Reference material, confidentiality agreement and other important documents can all be stored at one place so you can easily find them back. In the clients details, you'll find a Files tab. To add a file for this client, click on 'Select file...'. You can choose from Dropbox, Google Drive, OneDrive and your computer. The File Manager allows you to quickly find the files you're looking for, to keep track of all the files (old and new versions) for a client and to access these files from anywhere, on any device.